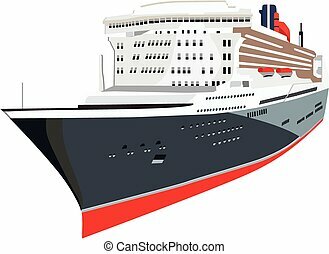 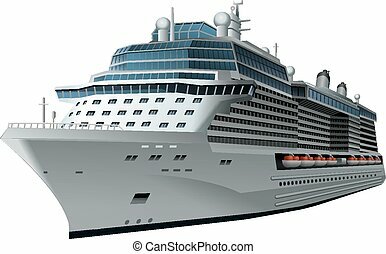 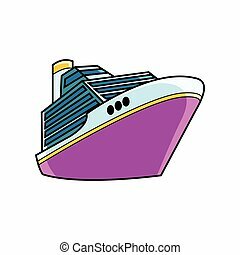 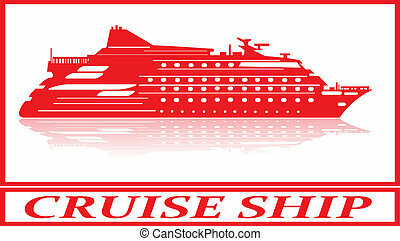 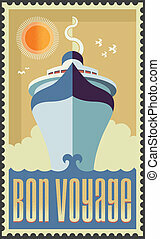 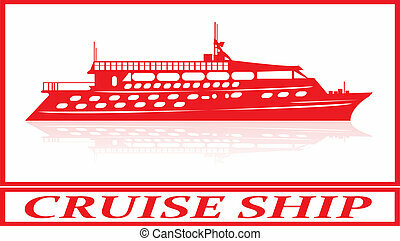 Cruise ship. 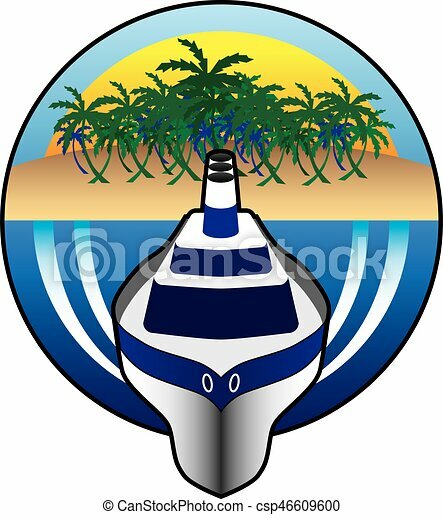 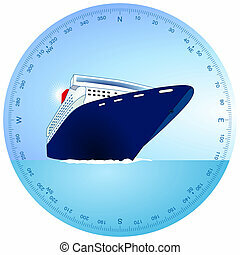 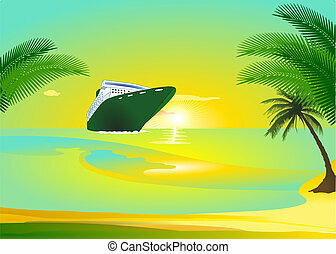 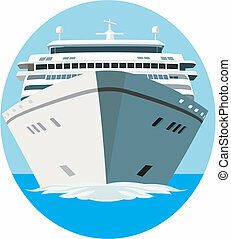 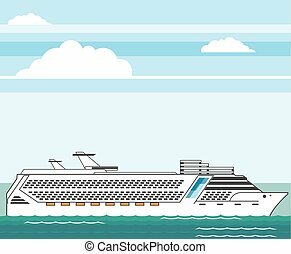 Stylized cruise ship is sailing away from island. 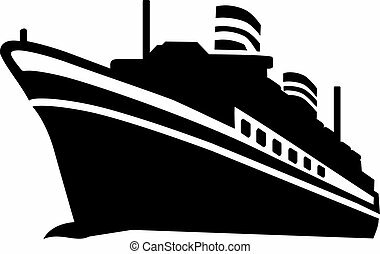 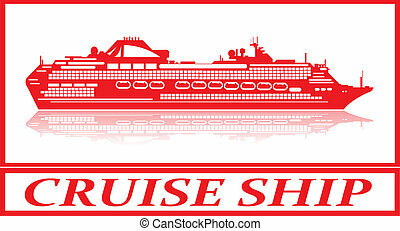 Cruise ship in red silhouette.